From the wonderful woodlands to the state of the art early learning centre, Westville’s facilities enhance all areas of the curriculum. A full-sized, multi-purpose hall provides every opportunity for the children and wider community to display their talents. In addition to hosting a wide array of sports, theatre style seating makes the hall an excellent venue for musical and drama productions. Complementing the hall is the school sports field which provides space for a wide array of athletic pursuits. Westville makes the most of its setting and nestled on the edge of the woods is the Holloway Hut, a delightful outdoor classroom used for curriculum lessons and forest school. A recent £1million investment delivered a brand new, state of the art, Early Years unit, new Media Suite, Library, school hub and work rooms dedicated to children with additional educational needs. Westville Woodlands Pre School is housed in the new Early Years unit. 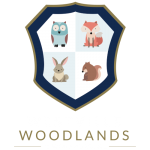 With direct access to the woods and outdoor classroom, Westville Woodlands is a vibrant and secure location for young children starting their educational journey.